Anonymous Monk is a small but growing collective of musicians based out of Washington and led by musician Ben Kamen. Earlier this year they gave us For Cedar by Eleanor Murray and now they’ve gone and done something else amazing: the first, to my knowledge, compilation calendar, featuring one song per month. 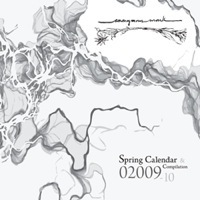 The compilation is titled Spring Calendar & Compilation 2009-2010 and includes a collective of month-related titles, like “March” and “April” and “Month #9”. Included in a thin, beautifully artistic sleeve and wrapped in a large, artistic newsprint calendar with an additional 8 and 1/2 by 11 inch silk-screened sheet, Anonymous Monk has given us a unique collection of artifacts, from the music to the physical items from whence they came. 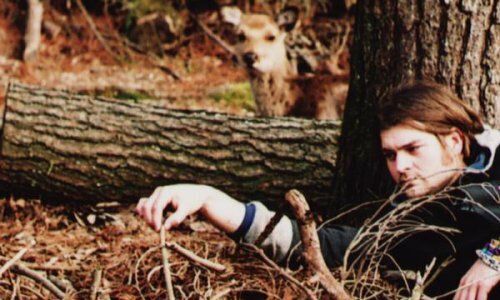 The music, like the art, is a beautiful collection of lo-fi folk and pop, eclectic at times but always honest and from the heart. Eleanor Murray sings “November” while Kamen himself contributes with “April”. Additional names of note, recognizable to those beyond Washington’s lo-fi folk click, include Paleo “Month #9 (Shining The Moon)”, Karl Blau with “Arco Iris Alredador De La Luna”, Twig Palace with “December” and Eli Moore with “February”. These tunes are in the vein of similar Washington labels. While K is the most recognized, it holds only subtle similarities. There is also Bicycle, which tends to focus on CD-R releases. And we cannot forget the small, similar collective Dandelion Gold. These three, combined with Anonymous Monk, are the future of lo-fi folk from the Pacific Northwest and should be noted as time-worthy. Think of the first time you heard The Halo Benders or Microphones. My bet is that you’ll find an artist here that, while maybe not holding as much sway as those aforementioned two, have a special something that will at least remind you of what makes this style music amazing. Chyeah man, Ben Kamen is such an artist! You should all get this calendar and go to a show. It’s great stuff! Great atmosphere + great music + great people = great time. Way to go Anonymous Monk! I see a bright future ahead.